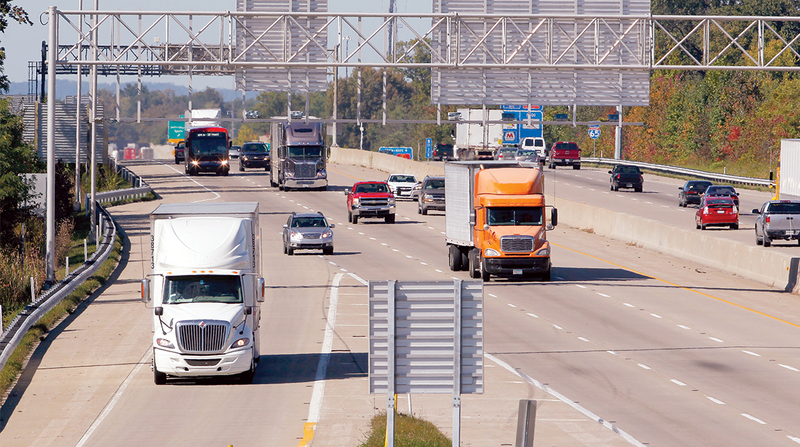 The Indiana Department of Transportation is dividing $100 million across 283 cities, towns and counties for local road projects. Gov. Eric Holcomb and INDOT Commissioner Joe McGuinness together announced the funding Nov. 7. The funds are part of the Next Level Roads: Community Crossings Initiative — Holcomb’s program to boost Indiana’s economy through infrastructure investments. Community Crossings, now in its third year, has awarded almost $400 million in state matching funds to local government agencies. Some 444 communities applied for money during the 2018 round of funding. The Indiana General Assembly created Community Crossings in 2016. To be considered for funding, local government agencies must provide matching funds from a source approved for road and bridge construction. Larger communities must match 50%, while smaller ones must match 25%. Interested communities also are required to submit an asset-management plan detailing how they will maintain existing roads and bridges. The funding targets smaller communities. State law requires that 50% of the available matching funds get awarded to places within counties that have populations of 50,000 or fewer people. INDOT will call for projects twice a year for Community Crossings grants starting in 2019. INDOT also has used federal funds to support local road projects. In March, the agency directed $161 million to rural road, bridge and sidewalk projects. The money was divided among 66 towns, cities and counties. The federal funds were supplemented with local funds, creating $212 million for those infrastructure projects. Rural communities receive a moderate amount of attention in President Donald Trump’s proposed infrastructure funding plan, which was released Feb. 12. The proposal calls for $1.5 trillion in infrastructure investments over 10 years. $50 billion for rural projects through block grants to governors. $100 billion for an incentives program for states and municipalities. $20 billion for a “transformative projects program” for futuristic contrivances. $20 billion to enhance federal credit programs and broaden the use of private activity bonds. $10 billion would back the creation of a Capital Financing Fund.